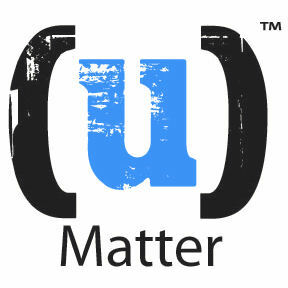 In 2008, Columbia Public Schools started a program known as U Matter. The program’s main goal is to prevent youth consumption of drugs and alcohol. Before its start, the organization gathered surveys and opinions from students to prove the unpopularity of consumption and change students’ overall social perception. Not only did they hope these surveys would change students’ views, but they also invited speakers to talk about the positive direction students could go in life without the aid of drugs and alcohol. Unfortunately, the campaign’s oversimplified method would have a tough time changing the youth mindset. U Matter will not work because the campaign itself suffers an incredible amount of argumentum ad populum fallacy, or “appeal to the people” fallacy. Drug prohibition has been one of the most polarizing topics in American politics over the last century; people of both major parties are split on this issue. From the mass media’s perspective, people, especially on the conservative side, demanded that the government criminalize marijuana and all other substances due to their negative influences on children. This inspired the creation of anti-drug campaigns to spread more awareness on drug abuse, from Reefer Madness to Nancy Reagan’s ‘Just Say No’ campaign. While these public fear-inspired programs helped bring this important issue to the public eye, they also failed to recognize the social issues that lead to people’s drug abuses. The film Reefer Madness became a frequent mockery among stoners because of its over-exaggerated representation of drug culture. The critics of the Reagan administration called the First Lady’s solution, much like U Matter, over-simplistic. What could possibly go right with these kinds of fallacy-based programs? Much like Nancy Reagan’s campaign, U Matter is fueled by collective perceptions of misinformed people who overlook major societal issues like poverty, family dysfunction and unemployment. In fact, U Matter never addresses these problems I have mentioned above. All it did was put “reverse peer pressure” on certain students by stating the majority’s views. It only demonstrates widespread support for something that only proves popular, not necessarily true. To be fair, this program is well-intended, but its goal is too narrow and the organization could have come up with more active and political solutions. When I was young, I thought U Matter could give more people integrity, but now, to me, it’s just a naive campaign that encourages a black and white mentality. Bringing motivational speakers was a nice idea, but they should focus more on encouragements for a better life. Simply, he is Asian (South Korean), brony, geek, reader, writer, non-registered Democrat, Wheodnite, and avid cinephile. He's hoping to become a visionary writer and filmmaker. Follow him on Twitter (https://twitter.com/JWwritestuff).